In addition to sustaining the environment, ATP is supporting the economy of Armenia. As one of the largest employers in Armenia of both full time and seasonal workers, the Armenia Tree Project provides steady income for individuals and families. Many of the jobs are located in remote and refugee villages, making ATP’s economic contribution that much more impactful. The nurseries in Karin and Khachpar villages alone employ more than 15 full-time workers! Our Mirak Family Reforestation Nursery in Margahovit Village supports our reforestation operations and employs 15 people in the Lori Valley. ATP’s Backyard Nursery program helps families in remote villages by allowing them to capitalize on their small parcels of land to grow seedlings for ATP over 1-3 years. 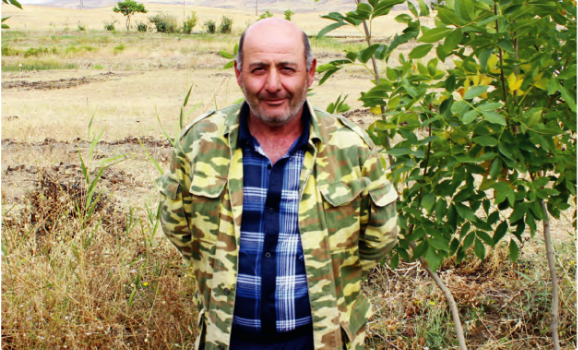 In 2016, Voskan Stepanyan was on the verge of packing his bag to leave Chiva for work in Russia when he heard about our new tree nursery opening in the village. An announcement was posted that ATP was hiring and Voskan decided to give it a shot. “It’s great knowing you’re going to get a decent salary in your own village . . . in your own home.” Since then, Voskan has been part of the team involved in all sorts of work at Chiva Nursery including planting, irrigating, and grafting trees. For over 12 years, Karine Stepanyan from Stepanavan has relied on the income from seasonal employment at ATP. In addition to being paid fairly and consistently each season, she is proud of the impact she is making in Armenia and to our Earth. Karine was even able to get her son to join her in the field working for a few seasons before he joined the Army. 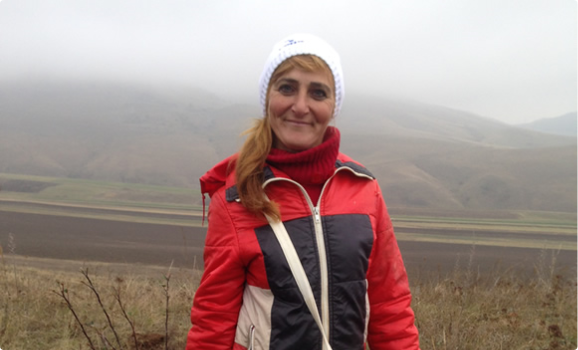 Nona Davtyan, a village widow and refugee from Baku, dreamed of finding a way to create economic independence for herself and her family to maintain their own basic living needs. Because of our Backyard Nursery program (BYN), Nona is able to plant and grow trees in her backyard for harvesting and add to her annual income. 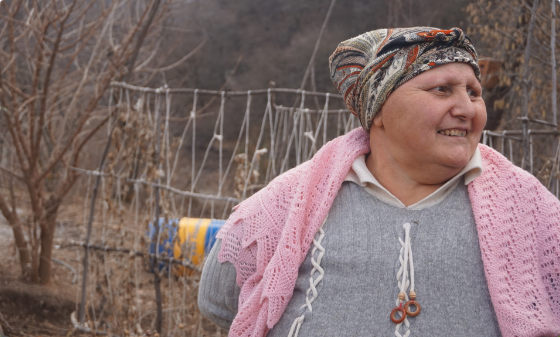 With ATP as her partner, Nona has supplemented her income 2x by transforming her land in Tavush into a nursery and growing between 1,000 - 1,200 trees annually.